Ideal for coloured hair. Its formula, characterised by a rich and full-bodied foam, is designed to gently cleanse coloured hair, protecting the colour and keeping it shiny for a longer period of time. I’ve been using this product for a few months and am really impressed. It leaves my hair shiny and manageable and seems to last. It’s quite pricey but totally worth it if, like me, you don’t need to wash you hair everyday. 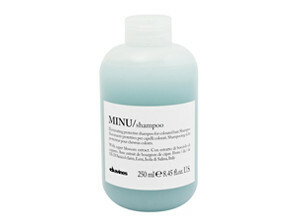 I have been using this shampoo for a few months and love it! It leaves my hair shiny and manageable and smells great. A little goes a long way and even though it’s not cheap, if, like me, you don’t need to wash your hair everyday, it’s worth it!